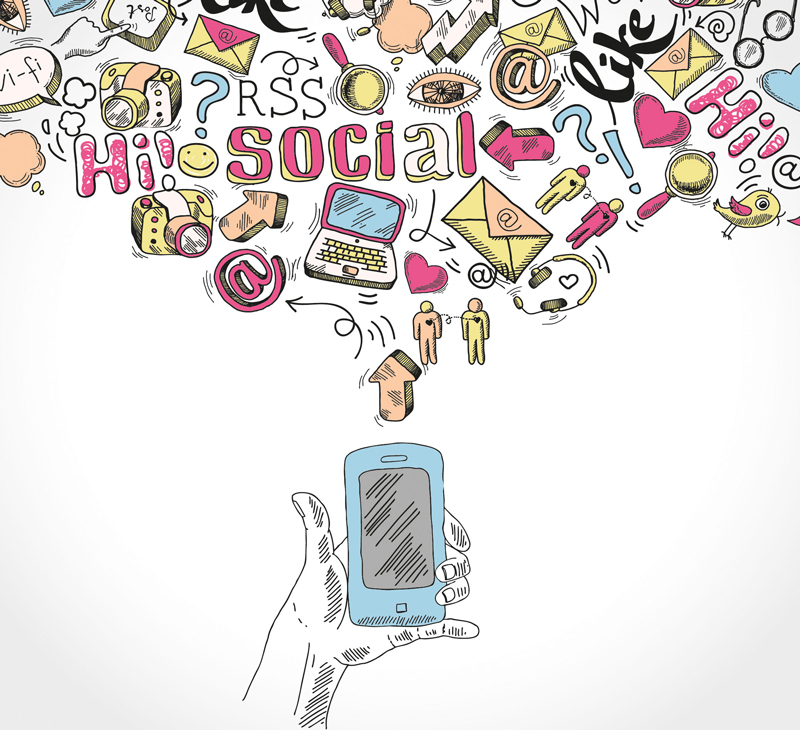 Social media began as a technological platform for creating, sharing and networking. It has since evolved into a lifestyle shaping our interactions with and perceptions of the world around us. It significantly contributes towards the development of self-image, making us either more cautious or open than we used to be. The instant and widespread connectivity that social media offers has enabled users to experience the benefits of a truly global network. However, while it has on many levels changed society for the better, the cultural assimilation that takes place within social media can prove to be dangerous. With privacy comes an anonymity that preys on its unassuming users through scams, identity theft, privacy violations and harassment. Furthermore, the lifestyle can be somewhat of an addictive substance that nurtures compulsivity and habitual use. Social media can also be a breeding ground for anxiety, depression and loneliness. These threats are particularly concerning for a very vulnerable population of society. In today’s world of boundless access and instant communication, it is not surprising that many teenagers are now avid users of platforms such as Facebook, Twitter, Snapchat, Instagram and YouTube. A few years ago, the US reported that 6.8 million Facebook users were between 13 and 17. In 2011, there were a reported 7.5 million users who failed to meet Facebook’s age requirement of 13. It is believed that this statistic may in fact be an under representation of the actual number of users under 13 since data was obtained from parents who knew of their children’s Facebook profiles. Since age restrictions are difficult to police on the internet, children and adolescents are exposed to inescapable threats which previous generations were shielded from. A clinical report reveals that over 50 percent of teenagers with access to social media log on to at least one social media site once every day while 22 percent log on more than 10 times a day. Of the 75 percent who own smartphones, a third use them for social media purposes while nearly 80 percent use them for texting and instant messaging. These numbers reflect a new wave of highly influential factors that not only impacts the younger generation’s social emotional development but also increases their exposure to the threats that many of us face as adult users. Social emotional development encompasses our views of the world, our interactions and our understanding of ourselves. All three determine our mental state and ability to function effectively in society. When social media factors in social emotional development, its harmful effects are intensified for those who are still developing self-regulatory skills and are highly susceptible to peer pressure. It is likely that they’re unaware of issues concerning online security or future consequences of social media activities. Exposure to cyberbullying and online harassment increases at a time when individuals are still developing, and may not have regulatory skills, self-defence mechanisms, and awareness of support mechanisms and resources. Multiple studies have demonstrated how social media is affecting students across the globe. A 2017 study found a link between parent-child relationships, peer relationships and Facebook use. The study concludes that adolescents who have stronger bonds with their parents are more likely to have stronger peer relationships and therefore, would use Facebook in less problematic ways. It also highlights the importance of securing healthy parental relationships that translate into healthy peer relationships. This ultimately results in a stronger foundation for real life relationships that need little or no virtual compensation. While social media has been used as a learning tool, the research base on its benefits in the classroom are weak. This is not because of the platform itself but rather, that its use in this context needs to be taught explicitly and monitored constantly, in order to ensure that appropriate and optimal learning takes place safely and securely. A study on junior high school students in Taiwan found that most of the 1,000 students who were studied use social media for social interaction rather than academic purposes. Furthermore, the study reveals a negative correlation between academic performance and social media use. Social media is causing an unavoidable change in society, which is severely impacting the emotional wellbeing and development of adolescent and preadolescent children. The freedom of connectivity is a luxury for those who know how to make use of it but for our developing younger generation, this is rarely the case. In the 21st century, teachers and parents have an additional responsibility to ensure that the next generation uses social media with caution and doesn’t fall prey to its dangers. It has become a practice for parents to allow their children below 18 years of age to access online communications – and this habit is spreading like a forest fire. Parents give in to destructive trends, which in turn spoil their youngsters and they go out of control. Parents – for their own convenience – encourage the addiction of tech devices even with toddlers. This is partially to keep the kids happy, which means parents are also trouble free. As children grow, they may learn something – an argument in favour is that online games boost thinking power. But the loss is more than what they gain. Chances are that values, quality thinking and confidence cannot be built online but with proper interactions between parents and children. Parents’ interactions with children are now limited to the essentials that are subjective – for example, checking homework, scores for subjects etc. Nowadays, children cannot admire the beauty of nature when going on holiday. Instead, they are busy with never ending selfies (never content), uploading their comments on where they dined and status updates. Dear parents, do not let your children become programmed zombies. Believe it or not, a good portion of those adults who hold these tech devices use it to access social media as they desire. This has already become a part of their lifestyles and wastes a good amount of concentration too on unnecessary stuff. These are not even the small business owners or the self-employed who are able to gain from the benefits of social media by going online. When adults too cannot self-regulate social media, and its purpose and usage, what can be expected from the young ones? Parents complain that their children find it difficult to sit and concentrate for at least half an hour. Needless to say that the concentration levels of both the kids and adults have fallen due to the distractions and emotional reactions caused by how communication takes place in social media. Without interpersonal understanding and the support of face-to-face and verbal communications, connections on social media can prove to be shaky and weak. People are more distant physically yet virtually close with no substance to hold them together – all trapped in an empty relationship. It is time to grasp the value of honest relationships and invest in these, rather than getting addicted and caught in the trend of online connections as a fad.